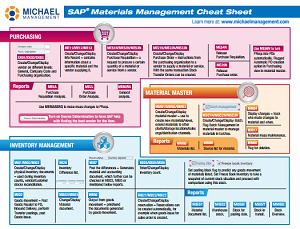 SAP Materials Management (MM) is huge! It contains Material Master Data, Purchasing, Inventory Management, Logistics Invoice Verification, Materials Requirement Planning and oh, so much more. Whew! 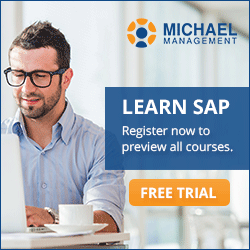 There's lots to know in SAP's MM module. Take a moment and print out this great cheat sheet and keep it handy while you are taking your courses. We compiled the most commonly used transaction codes, features and functions when working with SAP's MM module.